07.03.2017. BMW GROUP at the GENEVA MOTOR SHOW 2017. The new BMW 5 Series Touring; BMW 530d xDrive Touring (02/2017). BMW GROUP at the GENEVA MOTOR SHOW 2017. At the 2017 Geneva International Motor Show, BMW will be presenting current highlights from its range of models as well as the latest advances in the field of sustainable mobility with all-electric and plug-in hybrid vehicles. 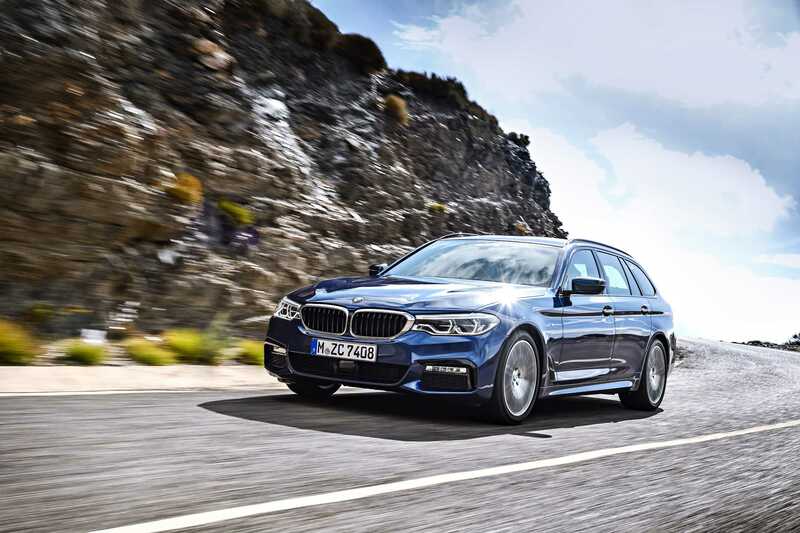 The new-generation BMW 5 Series Touring will make its world debut at this 87th edition of the renowned motor show held at the Palexpo convention centre. Also set to be unveiled to the public for the first time in Geneva is the new BMW 4 Series, fresh from a round of design, chassis, interior ambience and equipment enhancements. Another exclusive version of the ground-breaking BMW i8 plug-in-hybrid sports car will also be celebrating its world premiere, as visitors to the Geneva show (which runs from 9 – 19 March 2017) are introduced to the BMW i8 Protonic Frozen Black Edition. World premiere: the new BMW 5 Series Touring. The new version of the BMW 5 Series Touring, which has traditionally enjoyed particular success in European car markets, raises the model’s signature combination of driving pleasure, aesthetic appeal, innovation and intelligent functionality to an even higher level. With its attractively balanced proportions and distinctive vehicle geometry, the body design exudes both sporting performance and versatility. Compared with the outgoing model, the new BMW 5 Series Touring has slightly larger exterior dimensions and provides noticeably more space for passengers and luggage. The acoustic experience and levels of on-board comfort for rear-seat passengers have both been optimised. Even with all seats occupied, the new BMW 5 Series Touring’s load compartment can hold 570 litres of gear – ten litres more than its predecessor offered. Luggage space can be extended up to 1,700 litres (an additional 30 litres), if required. The permissible payload is considerably higher than for the outgoing model. Variability is enhanced by a number of practical details. Bottles with a volume up to one litre now fit inside the doors and the cupholders in the centre console likewise accommodate larger volumes. The 40:20:40 split/folding rear seat backrest can be lowered at the touch of a button in the load compartment. Tilt angle adjustment for the backrest is available as an option. The load compartment cover and partition net are stowed in separate cartridges in recesses underneath the load compartment floor, and a separately-opening rear window and automatic tailgate operation also form part of standard specification. Comfort Access (optional) includes hands-free opening and closing of the tailgate. When sales of the new BMW 5 Series Touring commence in June 2017, there will be four engines from the BMW Group’s latest generation of power units to choose from. Two of these will be combined with the BMW xDrive intelligent all-wheel-drive system from the outset. Other variants will follow during the course of the year, teaming up with conventional rear-wheel drive or all-wheel drive. Engine efficiency, optimised aerodynamics and weight reduced by an average of 100 kilograms compared to the equivalent outgoing models mean that fuel consumption and emissions have been reduced by up to 11 per cent, depending on the engine variant. Intelligent lightweight construction goes hand in hand with increased torsional rigidity in both the body and newly engineered chassis. As a result, the new BMW 5 Series Touring offers a more harmonious balance between agility and ride comfort than ever before. Standard equipment includes self-levelling air suspension at the rear, while Dynamic Damper Control, the Adaptive Drive system with active body roll stabilisation, Integral Active Steering – which is now also available in conjunction with xDrive – and M Sport suspension can be specified as options. The display and operating concept now encompasses a touchscreen monitor and BMW gesture control, and new assistance systems like the Steering and lane control assistant represent another step towards automated driving. Remote Control Parking is also available for the new BMW 5 Series Touring, and other highlights in the field of intelligent connectivity include the innovative On-Street Parking Information service. Sportier than ever: the new BMW 4 Series. Featuring sharper design and a reworked chassis, the new BMW 4 Series continues along its upward curve. Redesigned air intakes and rear aprons, and the now standard LED headlights and LED rear lights emphasise the exclusive and sporty look of the new BMW 4 Series Coupe, new BMW 4 Series Convertible and new BMW 4 Series Gran Coupe. New electroplated elements, chrome applications and a high-gloss black finish for the centre console add extra touches of class to the interior. In conjunction with the optional Navigation system Professional, the menus for the iDrive operating system are now presented in tile form on the Control Display. These large control panels can be arranged as the user wishes, and the related menu content displayed is constantly updated. The Multifunctional Instrument Display is now also available for the BMW 4 Series as an option. 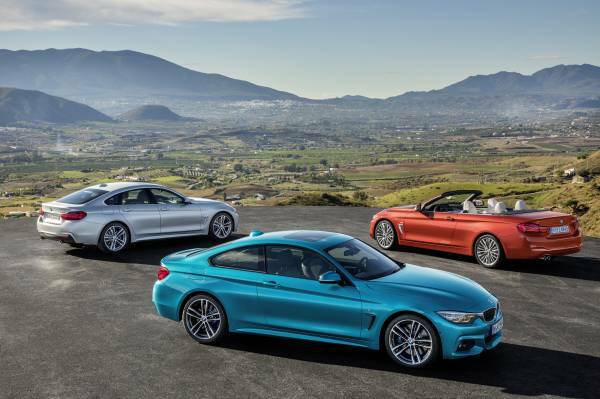 Stiffer suspension makes the handling of the new BMW 4 Series Coupe and new BMW 4 Series Gran Coupe even sportier, with no associated loss of comfort. High-performance tyres are offered as an option for the models at the top end of the power ratings. Redesigned full-LED rear lights and premium additions to the interior enhance the looks of the BMW M4 Coupe and BMW M4 Convertible. 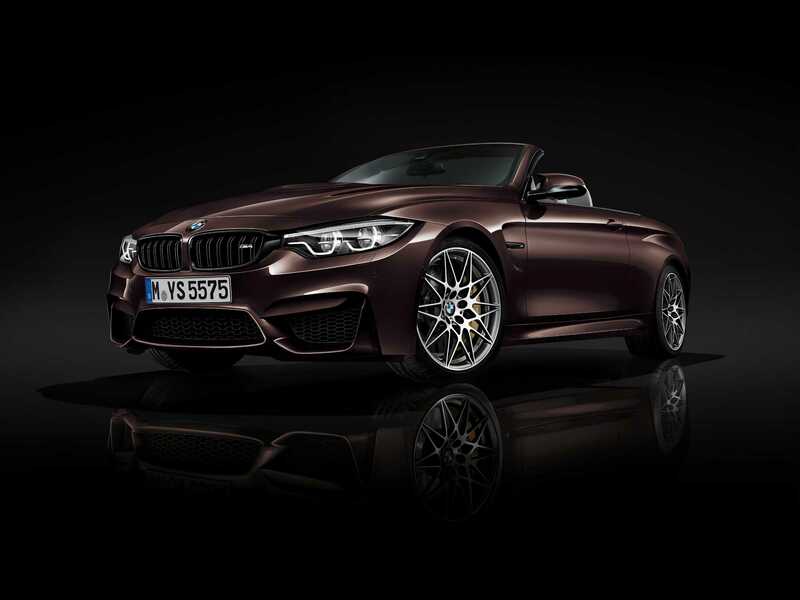 Both of these high-performance sports cars also come with the new version of the Navigation system Professional and the latest BMW ConnectedDrive Services. Electrically-powered driving enjoyment on the road to success; world premiere of the BMW i8 Protonic Frozen Black Edition. With the BMW i3 capturing a huge market share, and new special-edition versions of the BMW i8 and additional BMW iPerformance models both on the way, the BMW Group is extending its global leadership in the field of sustainable mobility. The BMW i3 is the most successful electric vehicle in the premium compact segment. Likewise, the BMW i8 continues to top its class by a substantial margin. 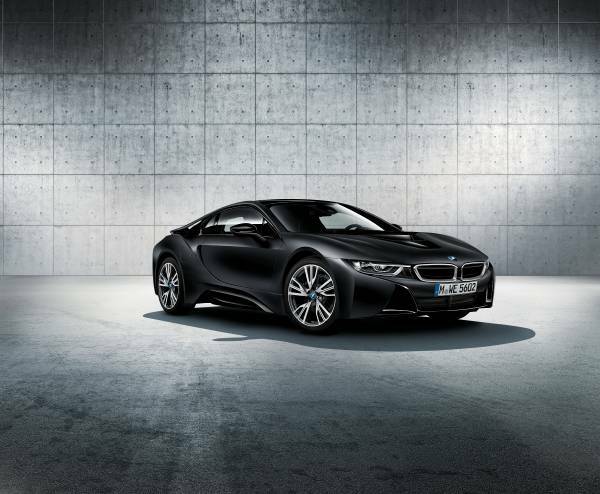 Thanks to the i8 and the BMW iPerformance models, BMW is the world’s most successful maker of plug-in hybrid models in the premium segment. A sales milestone of 100,000 BMWs powered by either an all-electric or plug-in-hybrid drive system was passed in autumn 2016. And the BMW Group is aiming to sell a further 100,000 vehicles featuring BMW eDrive technology in 2017. The line-up of exclusive, limited-run special editions of the BMW i8 plug-in hybrid sports car continues to expand in number. The BMW i8 Protonic Frozen Black Edition, for example, will celebrate its world premiere at the 2017 Geneva Motor Show. A BMW Individual Protonic Frozen Black paint finish and bespoke interior styling further accentuate its avant-garde allure. 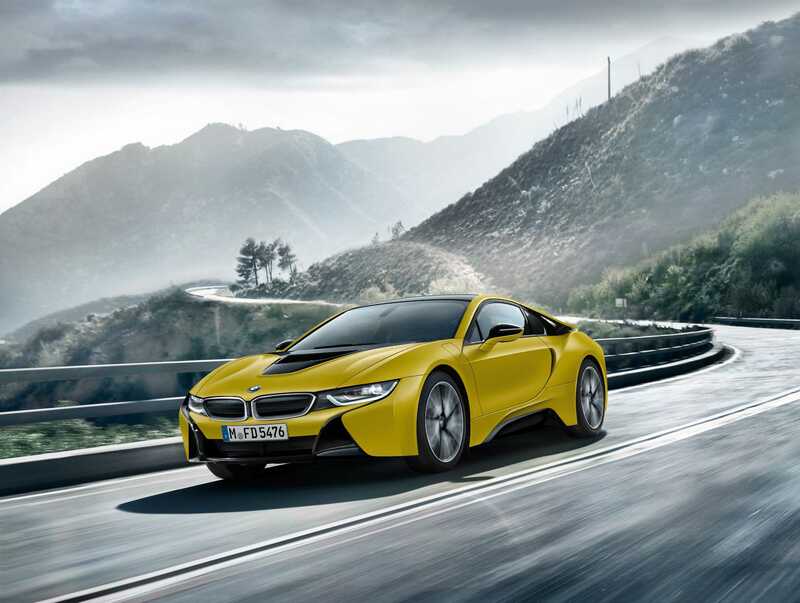 And later in 2017, BMW i will launch the BMW i8 Protonic Frozen Yellow Edition, giving customers another way to experience electrically-powered driving pleasure laced with added exclusivity.